The novice and beginners of the club ride at Springhill stables in Dry Drayton. 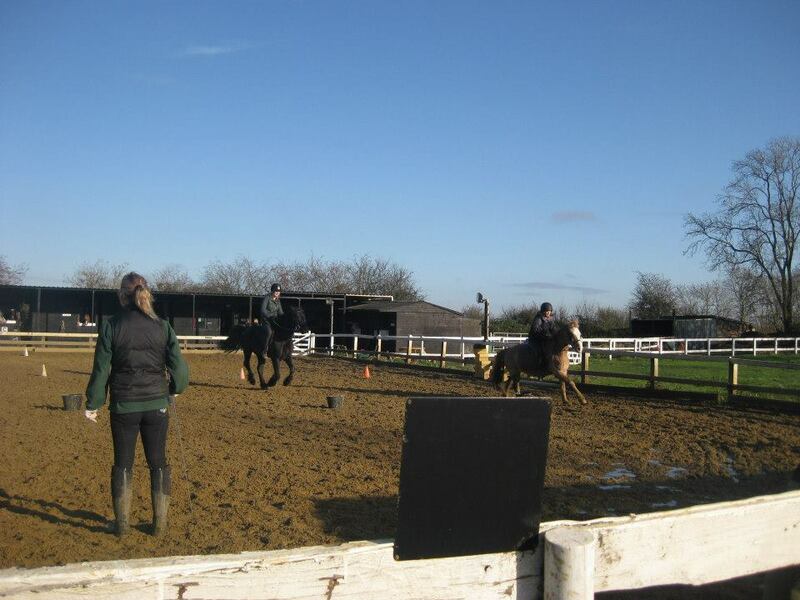 Everyone can join in, regardless of riding experience, but we do ask that you choose your lessons carefully and, if in doubt, sign up for something below your capabilities as then you can move up the levels in accordance with the stable’s lessons. Fiona at Springhill is a wonderful teacher who has trained people from beginner right through to top level competitions, as well as competing herself before having two gorgeous little girls. She has a great range of horses, many of whom are rescues who have been trained to a really excellent standard. You never need to fear that there won’t be horse to meet your capabilities, and a number of the horses are especially good at looking after complete beginners. Fiona and her team are always willing to show you how to take care of your horse after the lesson, so if in doubt, just ask! To get to the stables, it is a 30 minute cycle on the pretty route or a 10 minute drive. Most people going from the club to group lessons taxi share there. A taxi one way costs £13.50 from Panther Taxis on their fixed price fare. Public transport to the stables is possible however a longer route as it involves getting a taxi from the centre of town to Barhill then walking 20 minutes from Barhill to Dry Drayton along a path next to the fields. For private lessons, it is possible to cycle one way and get a taxi the other as Panther Taxis can fit a bike in the back if that need is specified when booking the taxi. For more information, contact the club at c.u.riding@sport.cam.ac.uk or to join go to our membership page.